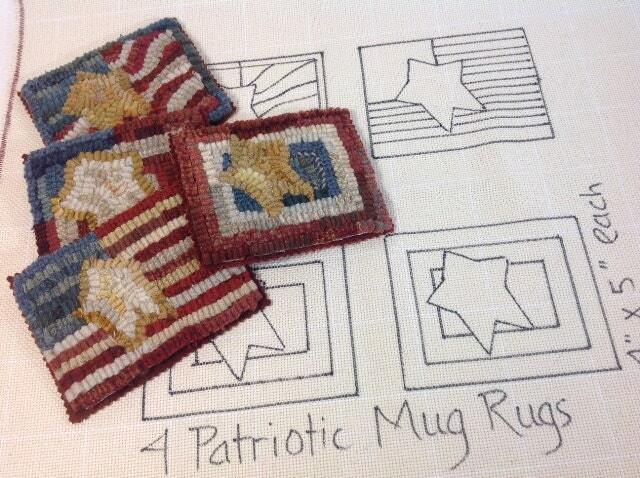 This listing is for the rug hooking pattern "Little Flag Mug Rugs" on your choice of cotton monks cloth or primitive linen. A 4" x 6" photo and finishing instructions are included with the pattern. It does not include instructions how to hook. 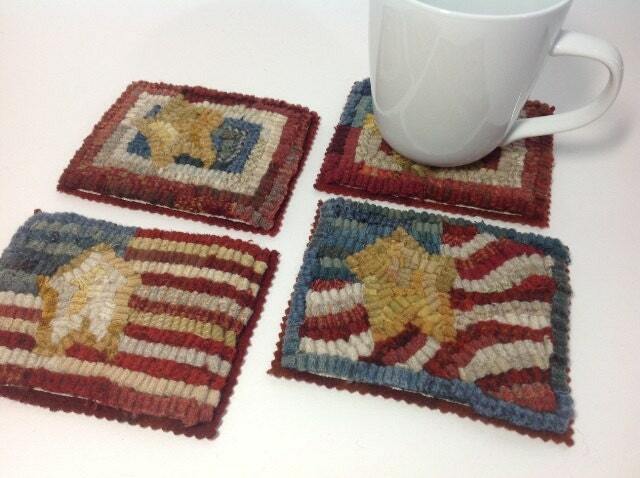 These four little flags measure approximately 4" x 5" each and are hand drawn on a 19" x 20" backing fabric to make it fit on most rug hooking lap frames or in a 14" hoop. 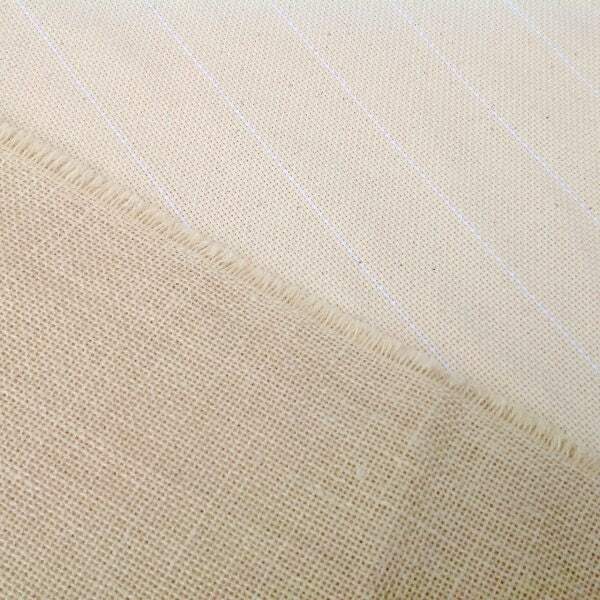 The outer edges of the backing fabric have been serged to prevent raveling while hooking. These finished samples give you an idea of how I hooked them. I used an assortment of my leftover #8 cut strips in reds, whites, blues and golds. This pattern is such a fun small project that hooks up quickly. You can have them ready by the 4th of July, but they are perfect to use all year round. It would make an ideal hostess gift or make a bunch to have around when your friends stop by for coffee. 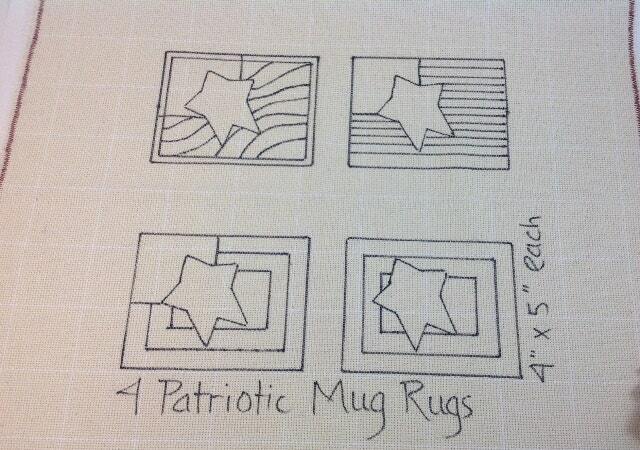 Your mother, sister, daughter, granddaughter or best friend would be delighted to receive these mug rugs. Arrived super quick- excited to start these tonight! Great patterns, thank you for the fast ship. Can't wait to do this - love it !! !